Mulch Installation: The yearly installation of hardwood mulch is one of the most popular services we offer. Mulching promotes water retention and adds necessary nutrients to the soil while preventing unwelcome weeds. It is important to understand what mulch consists of. All of our mulch varieties are produced organically from hardwood. The dyed mulch is composed of an organic dye made from plant-based materials. We source our mulch directly from the manufacturer who delivers to our facility where it is stored in bulk. 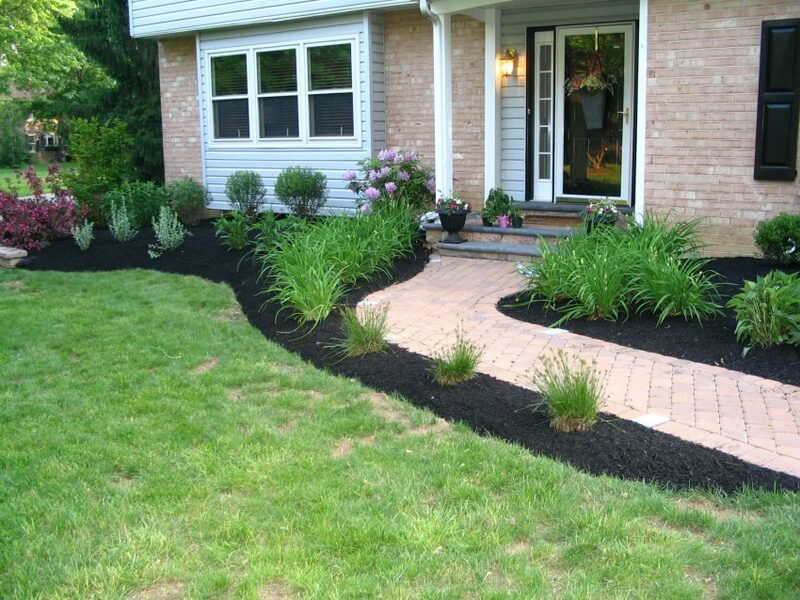 On hand, we will typically stock dyed black, dyed brown, and natural colored mulch containing no dye. We pull the product from our stock on hand and if we overestimate a job or have extra mulch, it is returned to our piles. Mulch should be installed to a depth of 1 inch per year to ensure that when mulching yearly the bottom one-inch layer is able to break down and decompose at a rate faster than the installation. Weed Removal and Prevention: Prior to installing mulch, we thoroughly inspect all garden beds for weeds and remove them to the root. For continued control of weeds, we can apply a granular pre-emergent called snapshot that will prevent weed germination as the product is dissolved by rainfall and released into the soil. We also offer weekly, bi-weekly, monthly or a one-time round-up application and weeding services throughout the growing season to treat weeds after they have germinated and started to grow in the garden beds. Edging: Edging or redefining garden beds is a step we take prior to mulching to create definition and as a method to retain the mulch to be installed. Typically, we are edging by hand to avoid costly repairs to irrigation lines, low voltage lighting wires, and underground dog fences. In certain situations, where we are creating new garden beds, we may choose to use a bed edging machine to cut down on labor costs. For yearly edging and redefining garden beds, we generally prefer to edge by hand because, in our opinion, the finished product looks neater. Shrub Trimming: One of the most common mistakes we see others in our industry making is pruning shrubs out of season. 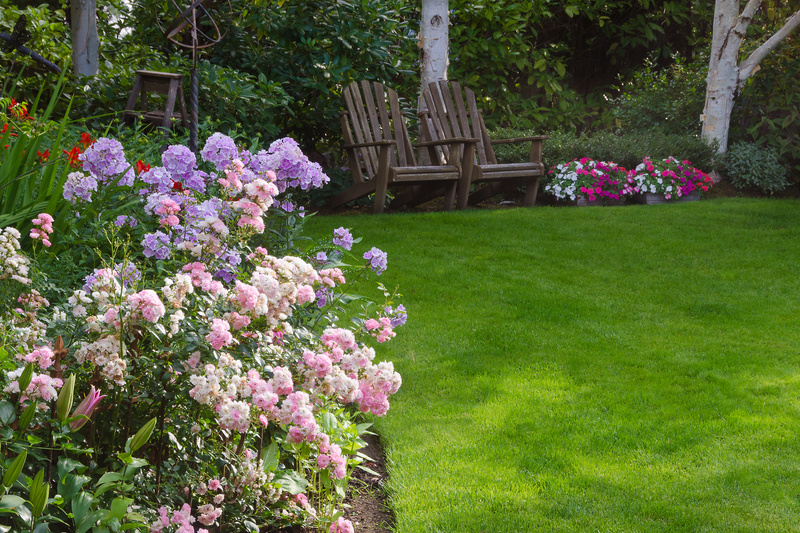 Whether it’s pruning azaleas in the spring, preventing them from blooming or pruning too severely in the summer months, causing heat stress, these practices are unacceptable and would be a disservice to our clients. We are able to identify each variety of shrubbery and tree and we know the pruning requirements for each species. With this information, we are able to determine if the time of year is conducive to the trimming that has been requested, or if pruning at that time will be detrimental to the plant's health. Our intent is to educate our customers as to the best industry practices rather than make a quick sale.